apart from Demon of Wailing Agonies and Vault of Whispers this deck could be modern legal. you got to many high costed cards that do nothing, don't have synergy or are straight up trash. you dont have to read all of this... its a lot. 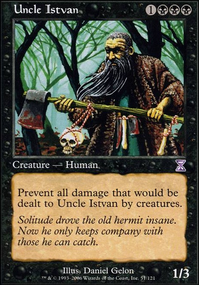 eg: Fen Hauler (you have almost no artifacts) and you could replace it for Gurmag Angler , Steel Wall , Prakhata Club Security , Prizefighter Construct can be chump blocked and dies to anything, Pitiless Vizier how do you discard or cicle cards?, Sengir Vampire high cmc, Phage the Untouchable the same but its actually a neat card that you could make some jank deck (thanks for the idea), Nightmare trash, Night Market Guard trash too, Extractor Demon to high costed unless you have a way to trow it on the gy, Dread Defiler the same and does nothing really, Bloodhunter Bat trash, Demon of Wailing Agonies you dont have a commander, Haunted Plate Mail to high costed and you got too many creatures to even use it, Staff of the Death Magus not usefull, Cinder Barrens and Forsaken Sanctuary whats the point??. uff dude, from what im looking its a deck you made from with the cards you had lying around, so you want to first have an idea of the game plan you wanna go to, a discard base control or aggro or reanimator and so on. or see what card you would want to work with and make the deck around it, when you do i can help you build the deck. just make a comment or hit me up idk. My original build of the deck involved filully milling myself, casting Haakon, Stromgald Scourge and a Gravecrawler from the yard and using those and the Vengevine that they triggered to fire up a flashbacked Dread Return that would return a Dread Defiler that could then throw giant nonsense like a Lord of Extinction from my graveyard to their head. After a while I realized this was just a lot more fragile and took a lot more mana than just having a single card, so now I have more space to run answers to graveyard hate, so I run Exsanguinate and Moonglove Extract as wincons. Also worth mentioning: Worm Harvest goes infinite with Phyrexian Altar and Groundskeeper if you have enough lands in the graveyard. Love this deck! I feel like there are lots of other ways to fill the grave, like Crow of Dark Tidings and the other myriad of spells designed to fuel Delirium. Dread Defiler definitely doesn't get enough love for his amazing ability. Personally, while Dragonmaster Outcast is amazing, I think I would personally steer this away from red and more towards blue/black for removal, counters, overall early-game security, and more discarding and milling. The idea is very nice, but the combo asks for quite an amount of mana, and in case of exile or bounce you'd be left totally vulnerable. I see Dread Defiler as a nice win con for late game, but it's damn expensive and slow. 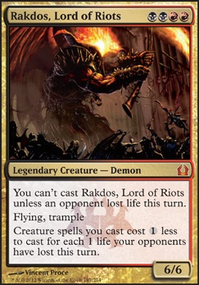 Baneful Omen or Dread Defiler to benefit from that CMC? Maybe a Dread Defiler Incase they kill your big boys. Also a couple Eldrazi Conscription to pump your mimics even more. Great deck though! +1 From me! the deck looks good but i think its a bit lacking. i think you should reduce the Burn from Within to one copy. the card is only as a finisher or a late game removal when you you have nothing else, which makes it a situational removal. being a sorcery, makes it slow and may take away mana that you might want to use to react to the opponent's plays. i would even recommend replacing the one copy with Fall of the Titans since it can have multiple targets. Thermo-Alchemist is a good card with a lot of potential but it is better suited for an aggro spelslinger deck. you could replace it with extra removal or another creature. 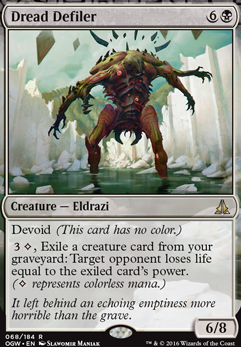 maybe add an eldrazi to abuse Kozilek's Return such as, Reality Smasher /Thought-Knot Seer /Endbringer / Dread Defiler or Bedlam Reveler for more card advantage. 1) your average CMC is really high. If your getting overwhelmed by turn 4 you need to lower your CMC to give yourself some breathing room. To that end you should look at getting rid of some of the 6-8 cost creatures you have. Dread Defiler, Archdemon of Unx, Birthing Hulk, Scourge of Nel Toth. These should be replaced with lower CMC costs. You didn't say there is a budget but lets be honest everybody prefers cheaper cards if they can. 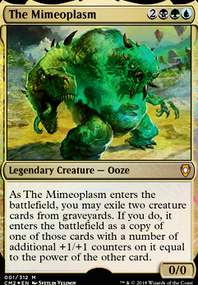 Spore Frog I HATE this card...mainly because I didn't know it existed while I played Meren now its always recurrable. From Beyond for example. 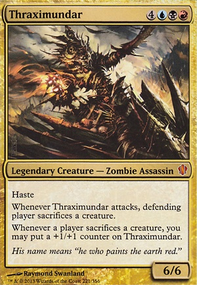 2) There are a few cards that you will probably find hardly get played because there are better options in hand. 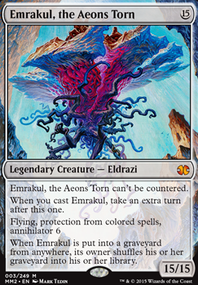 Eldrazi Monument its cost is 5 and in theory should be amazing but if I need indestructable creatures with Meren its probably because I don't have enough chumps I want to be sacraficing anyway. 3) Meren is all about exploiting the enter the battlefield trigger or sacrafice triggers. Kessig Cagebreakers, and Viridian Emissary are harder to exploit. If you would like other ideas let me know and I can post some more but you need to think about what type of game you want to play and let people know. I ran Meren with a token strategy hence the avenger. My friend runs more control type of strategy he uses things like dictate of erebos and the butcher etc.